Year 1, 3 and 4 were visited by the dogs trust this week. 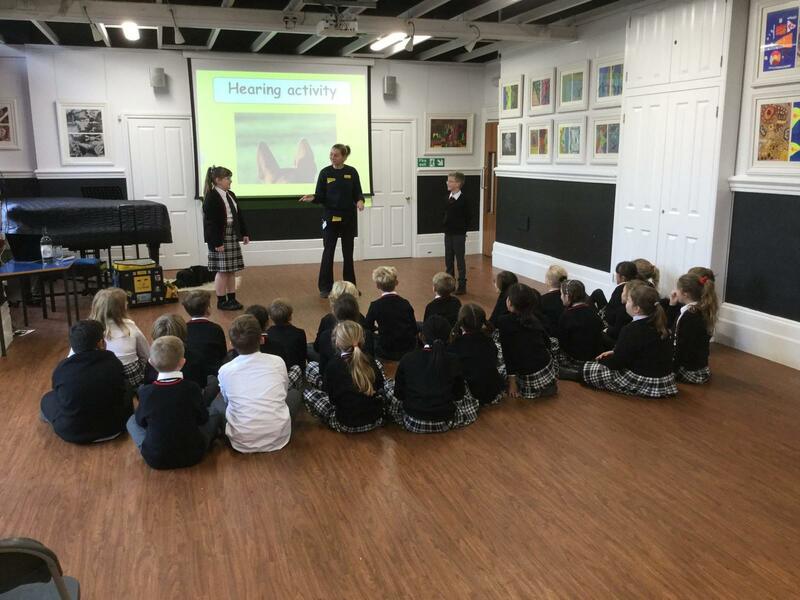 Year 4 were lucky enough to have a talk all about senses, fitting in with their new Science topic of sound. 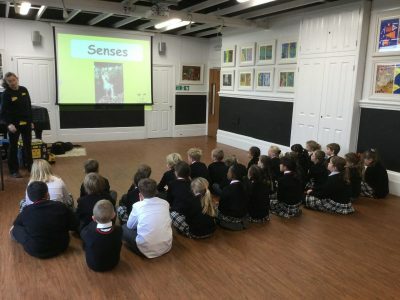 They learnt lots of fantastic facts about dogs and their senses and even got to meet and stroke, Paddy the dog at the end! 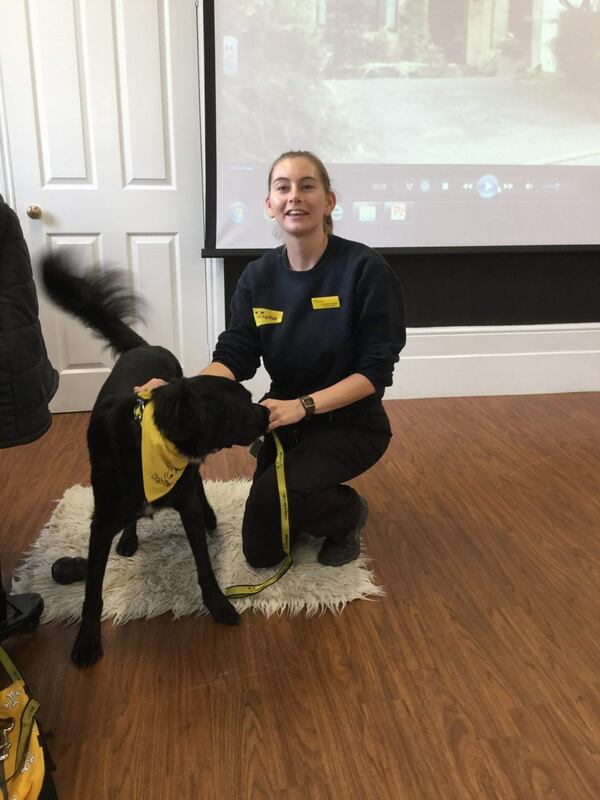 Anna: The dogs trust is amazing. They help dogs that are stray dogs just like Paddy the dog who visited us. He was found in London and brought to the dogs trust. Dogs have 5 senses like us and a dogs most powerful sense is their smell. 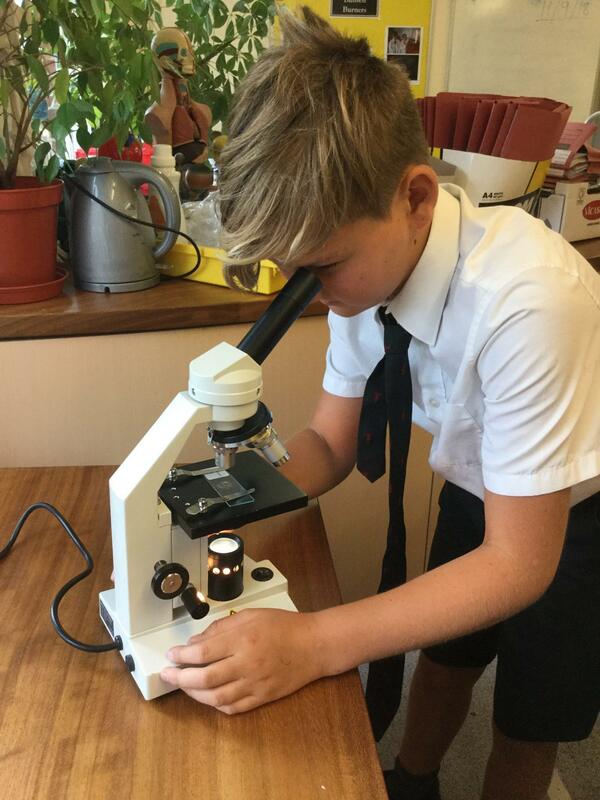 They have 2 million receptors in their nose. The best colours they can see are blue and yellow. My favourite part was all the new facts that I heave learnt about dogs. Alex: We learnt lots of facts and what you do before getting to stroke Paddy the dog, he was a boy. 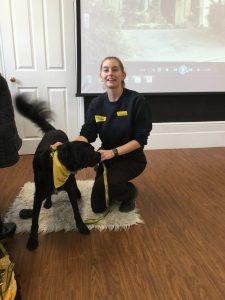 Dogs can actually see colour but they can see yellow and blue the best, they also have good hearing and can hear high pitched sounds that we can’t. We all liked watching the inspector paws video at the end and everyone liked stroking Paddy, he was furry and that was my favourite bit.